I am here this day to share with you what is coming for all of the planet. It is a matter of being able to go on with your lives and to see what is coming in the shadows out in the open that will help all of life on this planet to gain power and strength to carry on in the ways that are seen to be almost impossible today for some. As this comes into the open it will change many people’s lives and will help the planet to regain the strength and wonderful beauty that it is within the inner beingness of it. That is how it is for all of life on earth, and as you see this come into being you will know that you too can have a strong part in the movements that will abound around the world and within every part of life on and within this planet and all of you. Keep the knowing that you are the power of the changes coming, and in the Love that you transmit you will see the power that you and all of earth have in the coming times. Love, Peace and Joy in life is the answer to all of the questions and situations that you have. 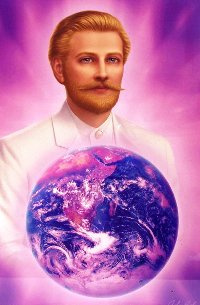 I am St. Germain and I am here today to awaken those who have fallen asleep because of the ways that life has been incorporated into the smaller energies that are being enlarged into the beauty and strength that are coming back into the energies of all there is here and everywhere. I am with you all one hundred percent and all you need do is to know that, and to see that your energy matches mine and you too can be the strength of all of life that is for the harmonious return for all life on and within this planet in the times to come. This moment is all that is in store for all of us, because this moment contains all that is in creation and will be in expression throughout eternity. Go now into the days that are living your entrance and you will see how powerful the Love that you live can be. Love is all there is, and it is in the fullness of anyone who lives it. This entry was posted in * AGE - OF - AQUARIUS, * ASCENDED MASTER INFO, * ASCENSION - AWARENESS, ANGELIC HUMAN RACE, ASCENSION - EARTH, ASCENSION - FREQUENCIES, ASCENSION - HUMAN, SAINT GERMAINE INFO, THE GREAT ALLIANCE. Bookmark the permalink.